One of the most unused tasks in windows is certainly defregmentation. Rare are those who use this weekly or even daily. I’m more among those who are more rarely running this tool, usually when the computer starts running slovely or when large amounts of files were moved. For those who have never heard for disk defregmentation before or use it; it’s like cleaning your closet. It’s amazing how quickly I can found my favorit T-shirt after that. And that’s like it with computer. Application founds messed/fragmented files all over the disk and than stacked together. This speed up the computer at startup and during operations. Based on very fast JKDefrag and it’s really very fast. Beside of that you can run it as screensaver during defragment. Available in 22 languages, for all Windows systems 32- and 64- bit, as well 2003 and 2008. Files are moved according to frequency of use to the beginning of the disc, which is usually the fastest part of the disk; OS files first of cource. The biggest advantage is, that it moves system files to the fastest part of hard drive and it’s preventing the possibility of a new fragmented files. 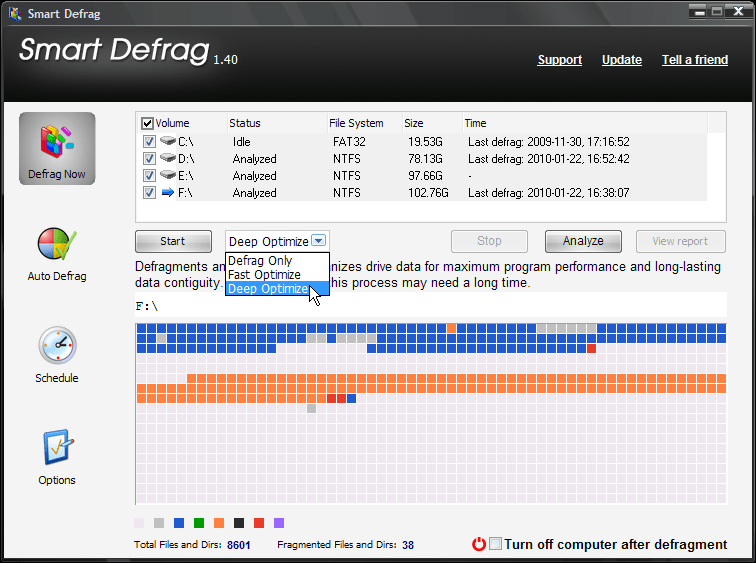 For 16- and 32-bit systems, you can set schedules, defrag individual files and folders. Free only for domestic use. 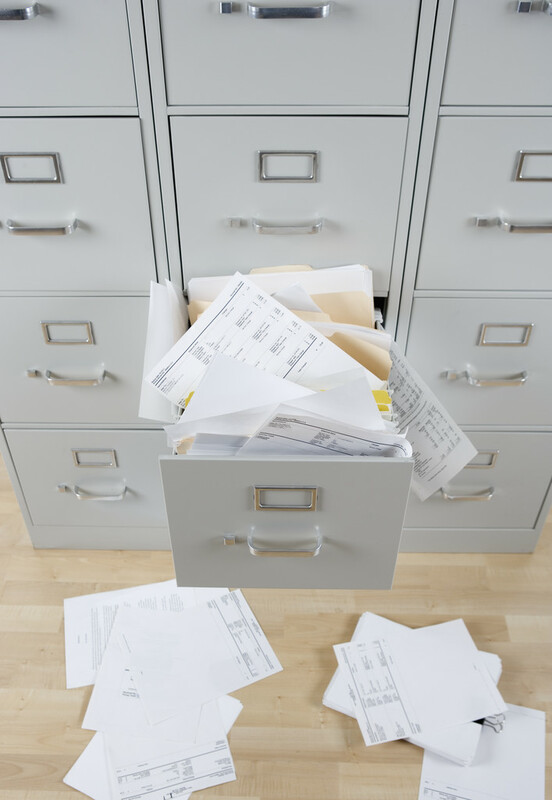 Easy to use, the possibility of scheduling, the defragmentiramo single file or folder, available in 37 languages, a major drawback is its slowness, once more than MyDefrag its task. Before defrag you can choose what kind of and hard disc is optimized for better operating in the future, preventing new fragmented files. Easy to use, after managing settings you can forget about the application, it will then take care in the background for good health of hard disc. Available in more than 17 languages for Windows 7, Vista, XP and 2000. Extremely effective for large drives. You can set app to watch over disc and only when it’s necessary start defregmentations, beacuse it’s no good running it all the time. There is also a version for Windows servers Smart Defrag Server 2010 , but it’s not for free. Not bed, advantage is no need for extra installing and you can use it right now. It’s mutch better version than XP defragmenter, which I dont’ recommend at all. 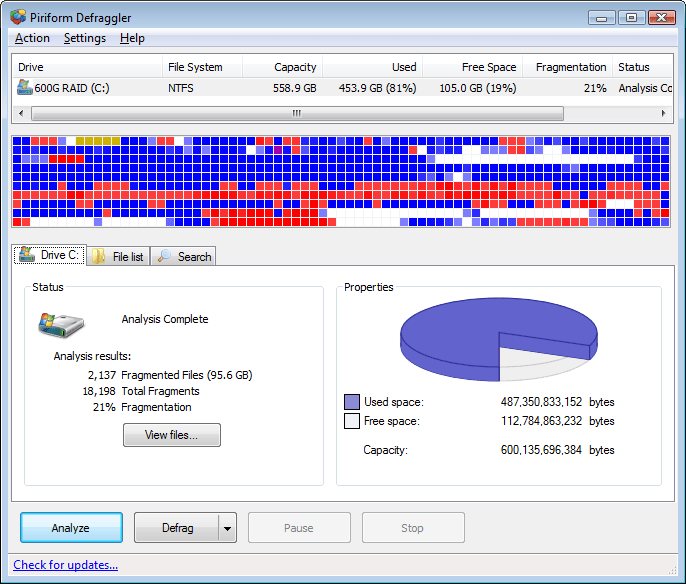 Win 7 defragmenter is very, very simple with schedule options. Some of these apps are also avalabile in Hirens Boot CD. My favorite is Moj favorit je certainly MyDefragger, but I like Smart Defrag too. And now, happy editing of closet or computer or both!